Numerous technologies we have today would have been unheard of as recently as 10 years ago (see: Bitcoins). And with the introduction of tools and gadgets like smartwatches and new forms of social networks, both us Internet users and businesses have rushed to take advantage of the convenience they provide. Of course, this also means that a lot of funding that used to go to traditional businesses are now being channelled towards the development of new technologies. And I mean a lot. Like, USD87,000-every-hour lot. 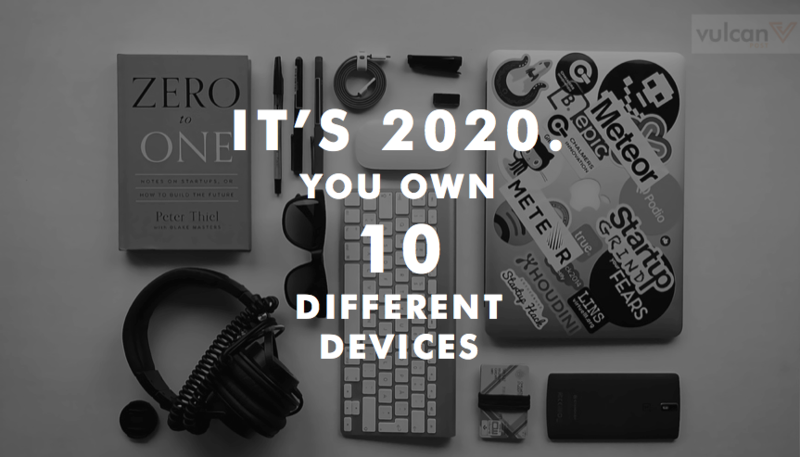 Have you ever wondered what kind of devices you’ll be spending your (e-)money on in the future? Or how you’ll pay for them? Because it seems physical money is well on its way out. 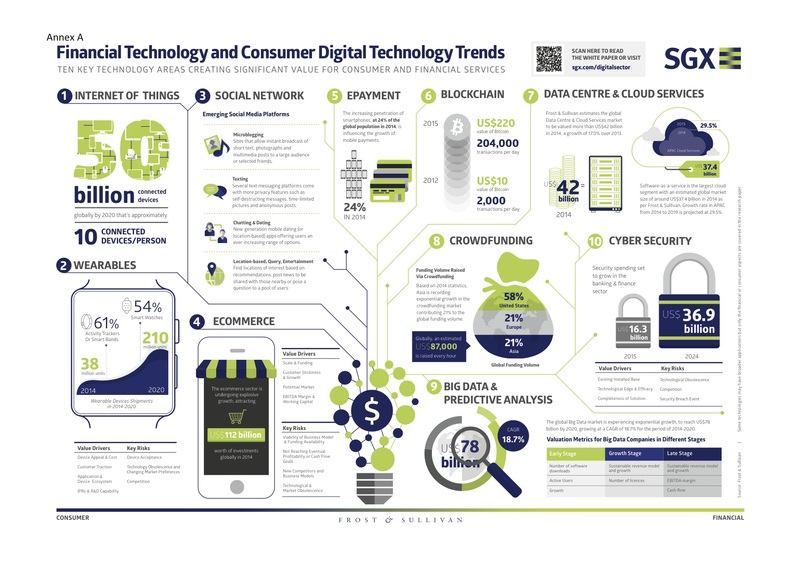 Singapore Exchange (SGX) has worked together with independent research firm Frost and Sullivan to find the key technology trends that will become significant in the next 5-10 years. For example, cyber security spending is expected to rise to US$ 36.9 billion by 2022, almost double the amount today, while wearables are expected to rise to 210 million units sold by 2020, an exponential increase from the 38 million from 2014. If you’re planning to start a business, a blog, or just want to dump a whole lot of money into a new startup, this infographic will give you some insight into what to expect and look out for in the coming years. For the full research paper and findings, go here.